“I love music!” exclaims John who was exposed to music at a very young age. “Music was always being played or performed in my house, everything from Miles to Mozart.” Beginning on piano at the age of eight under the tutelage of his pianist/composer father, John soon started having his own ideas about music. At a jazz concert John heard how the young Freddie Hubbard played the trumpet and it became clear to John that he would express his musical creativity with the trumpet. John’s mother bought him his first trumpet at the age of twelve. At sixteen John formed a Dixieland jazz combo performing regularly at local venues and at state music education competitions wining numerous awards. John’s unique dark sound and trumpet style developed from the influence of such jazz trumpet greats as, Chet Baker, Clifford Brown, Miles Davis, Freddie Hubbard and Lee Morgan. John’s most beloved jazz artist/trumpeter-vocalist was the late Chet Baker. He undoubtedly has influenced John’s style of playing the most! John explains that “Chet’s solos were beautiful melodies onto themselves and his vocals were from the soul!” On rare occasions you may hear John performing a vocal or two himself. 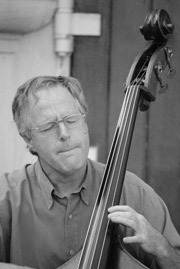 Before creating “The John Kalleen Group” in 2005, he lead and performed for thirteen years with the “High Society Jazz Band” and “The Tout Va Bien Jazz Quintet”. Although John has performed primary all over the west coast, he also enjoys performing in New Orleans (Fritzel’s) and Amsterdam N.L. (Café Alto) when visiting family in Europe. John enjoyed a successful business career for over twenty-five years as the President and CEO of Computers America Inc. John has gone back to his roots and heartfelt passions of devoting himself again to his music. When John not playing the trumpet you’ll find him engrossed in his other passion on the tennis court. Peter Graves was born and grew up on the east coast where he performed regularly for many years throughout New Jersey, New York and Long Island. Mastering both the alto and tenor saxophones, Peter has a big and warm sound rooted in the classic “Blue Note” straight ahead style of the 1950’s and 60’s. Even though Peter works in the hi-tech industry by day, for over 20 years he has continued to enjoy performing in the Bay Area in a variety of musical settings ranging from jazz, funk, blues and rock. He has performed with some of the top bay area talent including Dave Matthews, Larry Dunlap, Barry Finnerty, Terry Haggerty, Calvin Keys and Carl Lockett, just to mention a few. He was also a regular member of the Ray Fischer Sextet ( drummer for Earl Hines, Lionel Hampton) sextet for several years. Although he doesn’t have his own discography to date, he has performed in many combos and big bands with such international artist as John Handy, Arturo Sandoval, Tom Scott, Kurt Elling, Shelley Berg, Jamie Davis and Steve Miller. Jon Herbst is a Bay Area based film music composer, arranger, music producer and jazz pianist. He has written scores for Academy Award winning documentaries, independent films, PBS and cable TV series, commercials, games and interactive media, corporate videos and museum installations. than a little ambivalence, but soon came to realize that jazz, with it’s emphasis on improvisation, was much more his style. He went on to earn a degree in film scoring and jazz piano from Berklee College of Music. Before setting out on his own as a freelance musician and engineer, Jon spent several years honing his skills as a producer and engineer in broadcast radio and television. At Coventry Studio, a facility he designed and built primarily for his film scoring work, Jon has produced, engineered and performed on numerous jazz CDs. Jon currently performs with variety of ensembles ranging in size from duo to big band. He has had the honor to perform with jazz greats Phil Woods and Bob Mintzer as well as many stellar local musicians. Two years ago, with Mario Guarneri, Jon co-founded Jazz In The Neighborhood, a non-profit organization dedicated to nurturing and enhancing live jazz in the San Francisco Bay Area. When it comes to bassists in the San Francisco bay area, nobody has played longer and with more bands than Blake Richardson. With a music career stretching over 30 years, Blake has performed practically every genre of music that has come on the bay area music scene. Although he enjoys performing many different genres of music he loves to play jazz. “Jazz is one of the most creative and collaborative forms of music on the planet”, says Blake. Blake has also spent many years performing in the Boston area and has toured internationally. He also performs with the swing band Hot House and has performed with Bobby Hebb. Blake has also toured with Dan Hicks and His Acoustic Warriors. Blake and John have been performing together for over ten years. Eric Thompson grew up playing music in the San Francisco bay area. With a passion for music he went on to major in music at Los Medanos, Northridge, and Cal State East Bay, where he graduated with a BA in music performance. He has a busy schedule as a professional drummer/ percussionist having performed with jazz artists such as Marian McPartland, Mike Vax and TRPTS, Richie Cole, as well as the Full Faith and Credit Big Band and the Studio Six Big Band featuring the music of Don Piestrup. He has performed with the San Francisco, Oakland/ East Bay, Marin, Sacramento and California Symphonies, as well as the touring company of Miss Saigon and Les Miz, Man of La Mancha, Grease and numerous other shows in San Francisco. He performs extensively around the Bay Area as his schedule permits. Eric also enjoys a teaching career, where for the past 8 years he has been teaching and directing the middle school instrumental music program in the Mt. Diablo Unified School District.